I just returned from my 20th (give or take) No Greater Love Ministries Outreach to the New Orleans Mardi Gras. To say it gets a bit crazy on the streets would be an understatement. Each year in Rio DeJinero there is a similar festival called Carnival. It also occurs just before Lent. They say Carnival makes the New Orleans Mardi Gras look like a fifth grade dance. Underneath the colorful exterior of the parades, masks and costumes lies a far less winsome world seemingly on a collision course with destruction. Beneath the roar of the party are always the cries of the desperate. 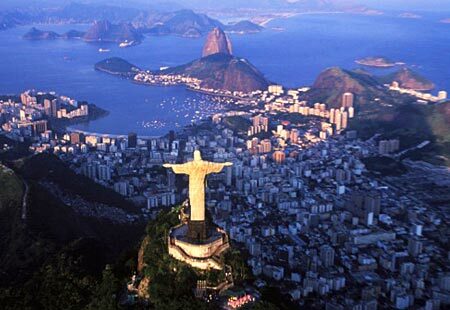 If you rise above the mob below, you see the beautiful Brazilian city nestled between Guanabara Bay and 2300-foot Mt. Corcovado. As you pan the mountain, all 124 feet of it comes into view. It seems so out of place there, as if it wandered from its original destination and got lost in Rio. Perched in full view of the city is a huge statue of Jesus reaching out his arms. There doesn’t appear to be one person at Carnival concerned about Jesus but there he is, silently waiting, year after year, decade after decade. They call the statue Christ the Redeemer. I wonder if anyone ever looks up during Carnival to see Jesus with arms wide open? Perhaps Christ the Redeemer overlooking Carnival stands as the ultimate metaphor for Lent. We are ambassadors of a Christ is desperately offering salvation to a world that would gladly trade it for a strand of beads. Lent is about reigniting a fire in our souls to reach to God’s beloved sons and daughters who are desperately lost. Lent is about empty arms. -Rev. Shane L. Bishop is the Senior Pastor of Christ Church in Fairview Heights, Illinois.